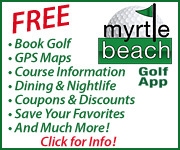 MyrtleBeachGolf.com has announced the top 5 courses in the Myrtle Beach area rated by visitors, who use a scale of one to five stars to give their first-hand assessment and experience with the courses they play. Course reviews on MyrtleBeachGolf.com are a valuable asset provided for golfers by golfers to give an unbiased take on the number and variety of courses in Myrtle Beach. 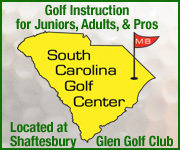 The top 5 courses are layouts around which you need to plan your next Grand Strand golf excursion. 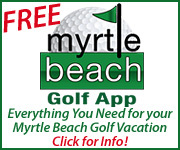 Topping the current ranking of the best Myrtle Beach area golf courses is Thistle Golf Club. A 27-hole layout designed by Tim Cate and opened in 2000, Thistle evokes feelings of old Scottish inland golf clubs with its majestic, Scottish-revival clubhouse. Opened in 1994, Caledonia is the first and arguably greatest design of the late visionary golf course architect Mike Strantz, who passed away in 2005 at the age of just 50. All of his courses are memorable for their wild aesthetics and unforgettable mix of fun and challenge. The Dunes Golf & Beach Club is not only one of the best courses in Myrtle Beach; it is one of the very best layouts in the Carolinas and the Southern United States in general. Opened in 1948, it is a Robert Trent Jones, Sr. masterpiece that in recent years has been tended to by son Rees Jones, who recently oversaw a renovation project to resurface its greens and add a few new tee boxes for the numerous high-level competitions the course hosts. The Moorland course is one of three fun, well-maintained layouts available for Legends visitors’ enjoyment. Designed by P.B. Dye, son of legendary architect Pete Dye, plied the family trade beautifully here, crafting a memorable layout that features large, undulating putting surfaces, extensive mounding, deep bunkering and, of course, numerous water hazards ringed by railroad ties. Designed by Clyde Johnston, Glen Dornoch enjoys an uncommon feature among Myrtle Beach golf courses: multiple holes along the scenic Intracoastal Waterway. Here, the drama ratchets up on the final three holes, which all have this massive hazard in play. Unsurprisingly, the course saves its best for last: a long par four where players must carry marshes bordering the Waterway not once but twice. 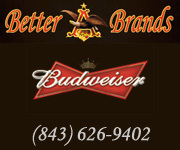 Read the complete article about the top 5 courses in the Myrtle Beach area on MyrtleBeachGolf.com.